Madhusudana Sarasvati's Gudhartha-Dipika [The Annotation (called) Gudhartha] [lit. the annotation that reveals (dipika) the hidden or deeper implications] stands next only to Sri Sankaracarya's commentary on the Bhagavad-Gita as regards clarity, depth and originality. It is an epitome of Madhusudana's vast learning and mastery of the different schools of Indian Philosophy and religions, and also of his great spiritual achievements. All these were due to the formative influence of his pious and learned forebears as also of his spiritual disciplines under able teachers. His ancestor, Rama Misra Agnihotri, is believed to have migrated from Kannauj (in Uttar Pradesh) in AD 1194 to escape religious persecution by the foreign invaders. Coming away to Bengal, he settled in the village Unasiya (in Kotalipada, district Faridpur, now in Bangladesh). Into this lineage was born Pramodan Purandaracarya, who begot five sons. The first four-Srinatha Cudamani, Yadavananda Nyayacarya, Kamalanayana, and Vagisa Gosvami-became famous scholars while the last son, however, turned out to be average. The third son, Kamalanayana, born in about AD 1490 (according to some) and the brightest of them, received the name Madhusudana Sarasvati when he embraced monasticism in later life. 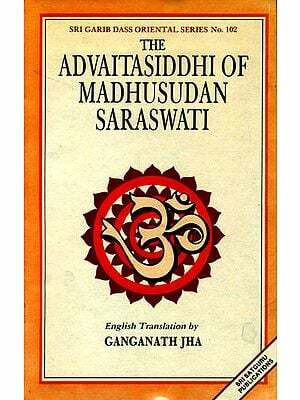 While a boy, Madhusudana was taught Sanskrit grammar, poetry, etc. by his father who was himself renowned for his scholarship. Some say that Madhusudana renounced home when he was merely ten years and travelled all the way to Navadvip (in West Bengal) to meet Sri Caitanya Mahaprabhu, who was famous then as an embodiment of intense love for God. But, as destiny would have it, at that time Sri Caitanya was elsewhere in India spreading his message of bhakti. Disappointed, no doubt, but not disheartened, Madhusudana nevertheless stayed on there waiting for Sri Caitanya's return. And in the meanwhile, studying under the guidance of Mathuranatha Tarkavagisa, the then foremost professor of Nyaya, he mastered that philosophy. At the same time, he also deeply imbibed the devotional teachings of Sri Caitanya with which Navadvip was vibrant. After thorough studies at Navadvip, and still unable to meet Sri Caitanya even after a long time, Madhusudana proceeded to Kasi (Varanasi) in search of a teacher of Advaita philosophy. The intention behind this, it is said, was his desire to grasp the intricacies of the Advaita teachings and then finally refute them with Nyaya's logic to establish the superiority of this philosophy over that of Advaita! But on completing this course studying under Rama Tirtha, he felt that a command of the Mimamsa philosophy too was necessary to become a complete scholar and tackle the Advaita philosophy. So he further studied Mimamsa under the erudite sanyasin Madhava Sarasvati. However, these intellectual pursuits, instead of making Madhusudana content with dry scholarship, increased his spiritual hunger. Besides, now he was convinced of the conclusions of Advaita, and also felt impelled to get ordained into monasticism. Thus he hoped to realize directly the ultimate nondual Truth. Advised by his Advaita preceptor Rama Tirtha, he approached the revered monk Visvesvara (or Visvesvarananda) Sarasvati (a disciple of Rama Sarasvati) with an earnest request to be ordained a monk. Needless to say, his desire was duly fulfilled. What was the fruit of all these strivings? We get the answer from his numerous writings, which indicate that he blossomed into a great lover of God, a yogi of a high order, and a realized soul who attained the state of Perfection. Some of his important writings are i.Vedanta-kalpa-Latika, ii. Siddhanta-Bindu, iii. Bhakti-Rasayana, iv. Advaita-Siddhi, v. Sanksepa-Sariraka-Vyakhya, and vi. Bhagavata-Tika. Madhusudana also left behind three eminent disciples Balabhadra Bhattacarya, Sesagovinda and Pursottama Sarasvati. The first of these wrote a commentary called Siddhi on Madhusudana's Advaita-Siddhi. The second, also known as Krsna Pundita, was from Maharashtra and the teacher of the famous grammarian Bhattoji Diksita; he wrote a commentary on Sri Sankaracarya's Sarva-Vedanta-Siddhanta-Sarasangraha. 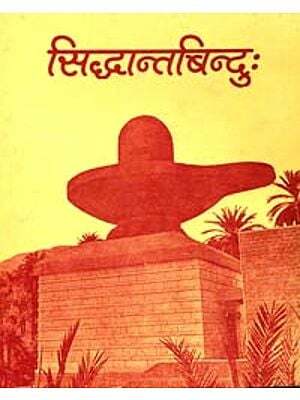 The last, Purusottama Sarasvati, was a monk and wrote an exposition of his guru's well-known work Siddhanta-Bindu. Some additional facts about the barely known life of Madhusudana found in the books referred to (pp. 13-14, f. n.) are noteworthy: he stayed for several decades at Gopala Matha on the Catuhsasthi Ghat (popularly known as the Causasthi Yogini Ghat) in Benares. A historically important event at Benares in those days has been recorded by prof. J. N. Farquhar: One of the notorious practices of the Muslim priests, 'as good Muslims', was to frequently 'attack and kill' the Hindus, lay and monastic, especially at pilgrim centres such as Benares. Those priests were protected by a faulty law that exempted them from any legal punishment! So the hapless Hindus approached Madhusudana to do something to stop this injustice. Since he was well known at the durbar of Emperor Akbar (who ruled between AD 1556-1605), he met the Emperor through Raja Birbal and narrated to him the religious atrocities at Benares, etc. as a solution, the Emperor suggested that Madhusudana should organize a militant band of Sannyasins to defend Hinduism and its followers. At the same time he promulgated a law that thence-forth the Hindu sannyasins too, like the Muslim priests, were outside the purview of legal action. Thus was born at the hands of Madhusudana the much respected, and feared, Naga sect of Vedantic Sannyasins. The recruits into it were mostly from the Ksatriya caste. They lived in monasteries called akhadas, lit. gymnasiums, and were trained in the martial arts. Despite these great contributions, Madhusudana, it seems, was hounded out of Benares by the pandas (Hindu priests at pilgrim centres) during his later years for some unclear reasons. As a result he had to go away to Haridvar where, it is believed, he passed away at the ripe age of 107 (in AD 1697, according to some). Now, coming to the Gudhartha-Dipika, it is possibly his best gift to the pundits as also to the not so scholarly majority of spiritual aspirants. The Bhagavad-Gita is considered the essence of the mass of Indian philosophical and religious thoughts. It is also dear to innumerable people as a guide to daily life. So, perhaps this is a reason why Madhusudana has lucidly discussed at the appropriate places the principal Indian philosophical doctrines, and also dealt with the practical steps necessary to attain to Self-knowledge. Besides, Madhusudana's introduction gives an excellent resume of the stage a seeker of Liberation has to pass through. 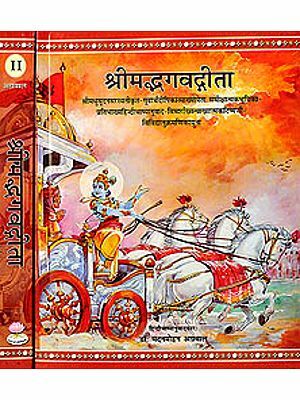 It also gives a summary of the Gita. Thus it is easy for the readers to follow his discussions in the Dipika. 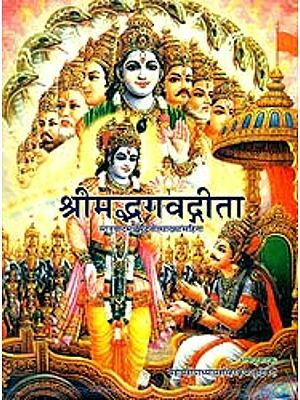 He has divided the Gita's eighteen chapters into three sections, each of six chapters. According to him, the first six chapters deal with Karma-yoga, which is the means to the final goal; and the last six deal with that goal, Jnana, Knowledge, itself.. The middle six deal with bhakti and also with God's grace which makes possible the difficult stage by stage transition from karma to Jnana. Accordingly, the first section clarifies the notion of 'thou' in the Upanisadic declaration 'Thou art That'; the second section the 'That', the Lord, whose true nature is the supreme Bliss that is Brahman; and the third reveals the purport of the whole utterance 'Thou art That'-that the jiva, the individual self, is in fact identical with Brahman. In this regard the reader should refer to pp. 208-10. One of the features of the Dipika is that Madhusudana has explained almost every word of the Gita verses (slokas), even such as ca, and; tu, but; hi, in-deed, for, etc., unlike several other commentators of the Gita. Besides, at many places he has attributed significant implications to those words. Again, one sees his unique style where he gives in a verse or two of his own the gist of a chapter-or of a few verses-he has just annotated. The translations of such verses have been indented and fully italicized; as for instance, at the end of the chapters 2, 3, 4, 5, etc. ; under 4.6; and at the end of verses 15. 18, 19, and 20. Some other verses of his that draw attention are the verse at the end of Chapter 10, the one introducing Chapter 13, and those at the end of Chapter 15. For, they unmistakably show his abundant bhakti side by side with his firm Advaitic convictions. Further, readers who are themselves inclined to bhakti are sure to be charmed even by such passages as in the Dipika on 7, 14 and his introduction to 7. 25. Again, though he was says, under 6. 29, that Sankarites do not take to Patanjala Yoga, still, by dealing with it exhaustively in Chapter 6 he has greatly helped spiritual aspirants who are desirous of realizing god through the path of psychic control. Then, again, in the Dipika on 12. 6.  7 he deals with God's grace for the meditators on the saguna, qualified, Brahman; that is to say, for those following Bhakti-yoga who are also eager to realize the unqualified, nirguna, Brahman. As in the above places and in many others of the Dipika, similarly towards the concluding portions of the book too Madhusudana has harmonized bhakti, yoga and Jnana, e.g. while explaining mad-bhaktim param under 18. 54. Indeed the annotations on the verses 18.56-66, which dwell on Jnana, bhakti, the necessity of God's grace, and Moksa present the unifying thread of the whole work; and under verse 88 Madhusudana has unambiguously declared that the core message of all the scriptures including the Gita is self-surrender to God, this being the culmination of all spiritual practices. Another point to note is that at some places he has differed from the explanations of Sri Sankaracarya. For example, while explaining the first anyah in 2.29; the last two lines of this verse; verses 2.39 and 6.14; and at the conclusion of the Dipika on 18.66. However, these should not at all be viewed as deviations from tradition or as a sign of lack of respect for Sri Sankara. For, the points of difference are minor, and do not contradict the fundamentals of the Acarya's views. Besides, almost at each such place he has done so with explicit humility; for example, at the end of the annotation on 6.14 and 18.66. Despite the fact that the charm of the Sanskrit original is lost to some extent in translation, still, Swami Gambhirananda, well known for his faithful and lucid English renderings of Sri Sankara's commentaries on the Gita, the Brahma-Sutras and the major Upanisads, has retained his felicity here also. He has mostly depended on the text of the Dipika in Srimadbhagavadgita with Gudhartha-Dipika of Madhusudana Sarasvati and the Hindi commentary (and translation) of Swami Sanatanananda; Chaukhambha Sanskrit Sansthan, Varanasi; 1983. the two other books consulted are i. Srimadbhagavadgita (with the commentaries of Sri Sankaracarya and others, and Madhusudana's Gudhartha-Dipika with Gudhartha-tattvaloka of Dharmadatta Sharma-Bacca Sharma) (Sanskrit); ed. Wasudev Laxman Shastri Pansikar; Indological Book House, Delhi; 1984, and ii. Srimadbhagavadgita Of Sriman Madhu-sudana Sarasvati-krta Tika; trans. And explained (in Bengali) by Pandit Bhutanatha Saptatirtha; ed. 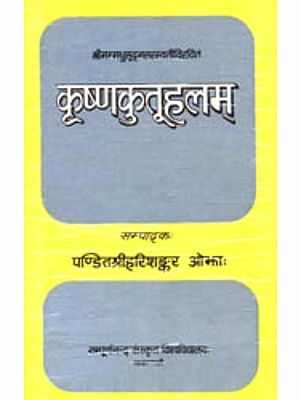 Nalinikanta Brahma; Navabharat Publishers, Calcutta; 1986. The translation of the Patanjala-Sutras given here are almost always as in Swami Vivekananda's translation in his Raja-Yoga, published by Advaita Ashrama; so too are the sutras and their numbers. The title of the chapters are according to Madhusudana's colophon, and naturally differ at some places from the titles the translator has given in his English rendering of Sri Sankara's commentary on the Gita. Though a separate list of the places (no less than fourteen) where Madhusudana has followed variant readings of the Gita-verses is not given, parts of the Dipika where its other readings were found have been given in the footnotes. As for the method of presentation, the words of the verses have been transliterated into English and italicized; these are followed by their translation and Madhusudana's explanation; and these are generally separated by a ';' from what concerns the next word of the sloka. By reading the Dipika, omitting the transliterated and italicized words of the sloka, one still gets continuous sentences. Often, where such simple sloka-words as ca, eva, tu, etc. have not been interpreted by Madhusudana, they have been translated without giving their transliterated forms. This has been done more in the later chapters, presuming that by then the readers would have become familiar with their usual meanings. Words such as self, reality, knowledge, etc. refer to their empirical sense, whereas Self, Reality, Knowledge, etc. convey their transcendental sense. Technical Sanskrit words, specially those whose translations are long, have been given the first few times in their transliterated italicized form, together with their translation in parenthesis; later on only the transliterated form is retained. But, for the sake of convenience all such words have been included in the Glossary, sometimes with the page numbers or the verses under which they have been discussed. The several footnotes in this book are the translator's, unless otherwise stated. As for the references to the quotations, some of them have remained untraced despite extensive search. We shall be greatly obliged if readers can supply them to us so that they can be added in the next edition. We are relieved and happy that this important book is finally out. But our deep regret is that Swami Gambhirananda passed away in 1988, four months after he completed the translation. Naturally, the responsibility of revising the work, only wherever necessary, fell mostly on Swami Moksadananda, whose valuable suggestions Swami Gambhirananda had sought even when the work was in progress. The other person involved in the revision etc. is myself-more by virtue of having had the privilege of taking down the translator's dictation of the work than by any other merit. So, whatever shortcomings or errors the readers may come across in the book are not of the translator. On the other hand, indeed, to him we are obliged for leaving us this last gift, despite his almost total blindness and advanced age of nearly ninety-one years when he passed away. Lastly, I am personally grateful to my brother monks, Swamis Amareshananda and Baneshnanda, for helping me in various ways in getting the book ready. 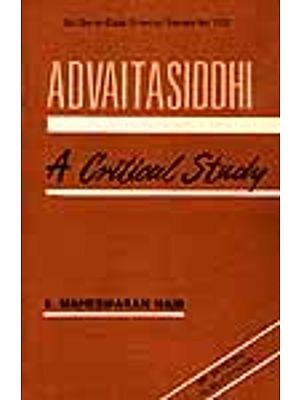 Madhusudana Sarasvati's most famous work, Advaitasiddhi, helped to establish monism on a logical basis by refuting all criticisms of it by other schools. In his commentary on the Bhagavad Gita, however, he set forth a philosophy of life which also recognized other ways of spiritual development - such as Yoga, devotion to God, and the analytical penetration of Samkhya. Here, Madhusudana gave the highest place to the cultivation of devotion. According to him, devotion is the most effective means of God realization and Sri Krishna is the higher manifestation of the Divine. Krishna is the source of all blessedness, his heart's sole resting place, and his life's joy. Once Madhusudana wrote that those who can worship the inscrutable Unmanifested may well do so; but for him there is nothing greater than the thought of surrender to Sri Krishna and nothing sweeter than love of Sri Krishna. 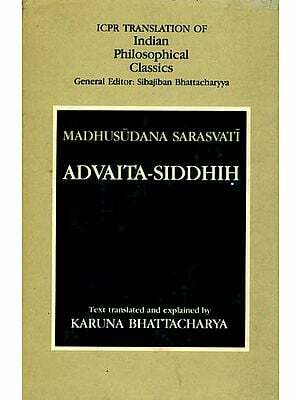 The present work of Madhusudana, the Gudhartha Dipika (An Annotation Revealing the True Import of the Gita) is probably the greatest of his many classical commentaries on the Gita, this work stands next only to Sri Shankaracharya's commentary as regards clarity, depth, and originality. This book is a valuable addition to our publications and is highly recommended to serious readers of Indian Philosophy and religion.